Save $6.00 by choosing this option now. 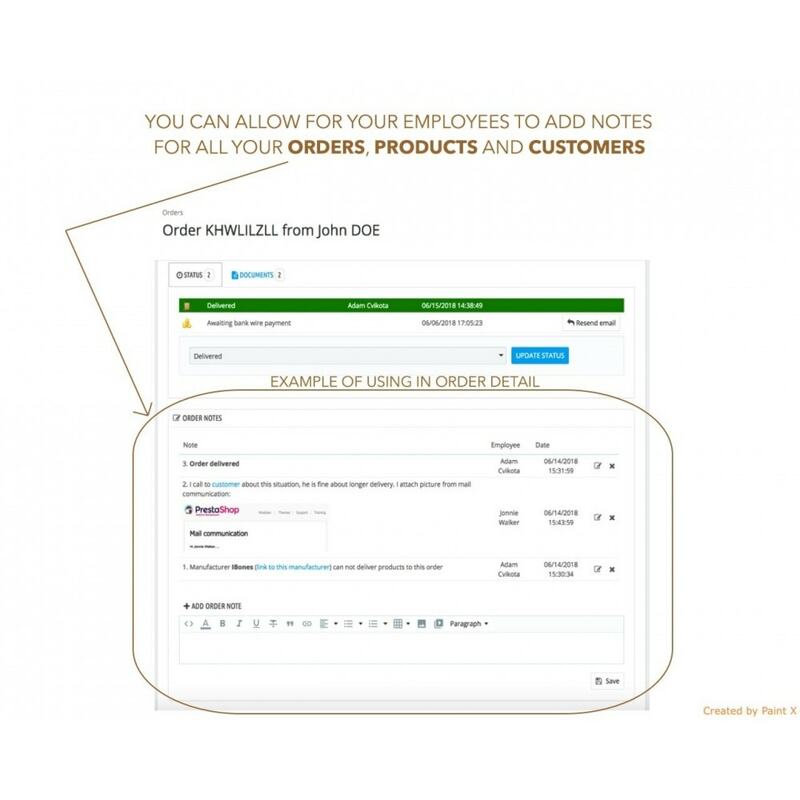 You can allow for your employees to add notes for all your orders, clients and products. 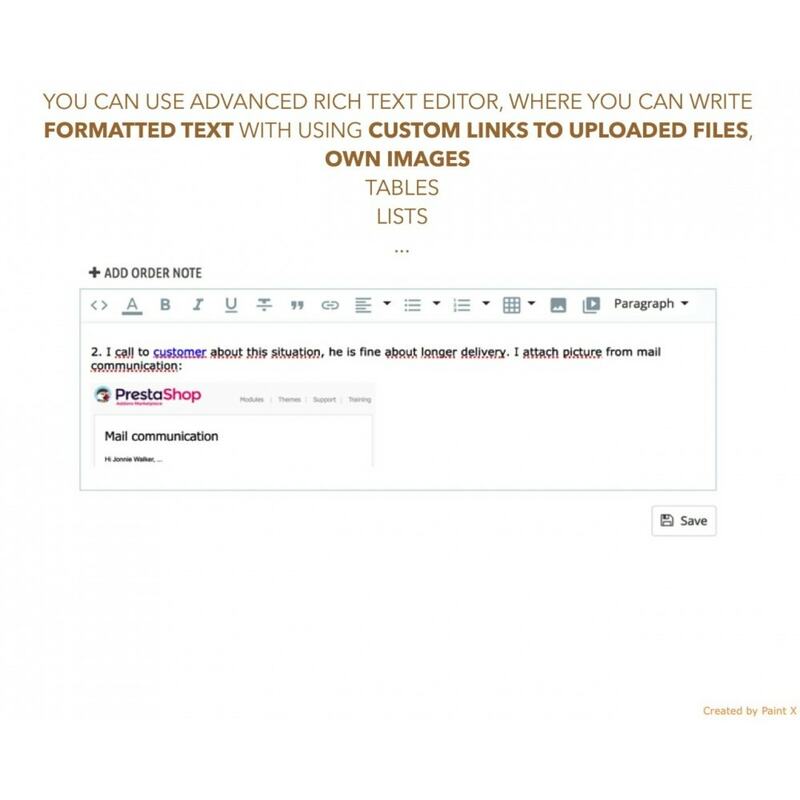 Advanced rich text field allow to you to add images to your notes, links to uploaded files, tables, etc. You can set lot of options in module configuration. If you need to leave comment or custom note to your order, for example about longer delivery, or missing product on stock, this module is the best solution for you. 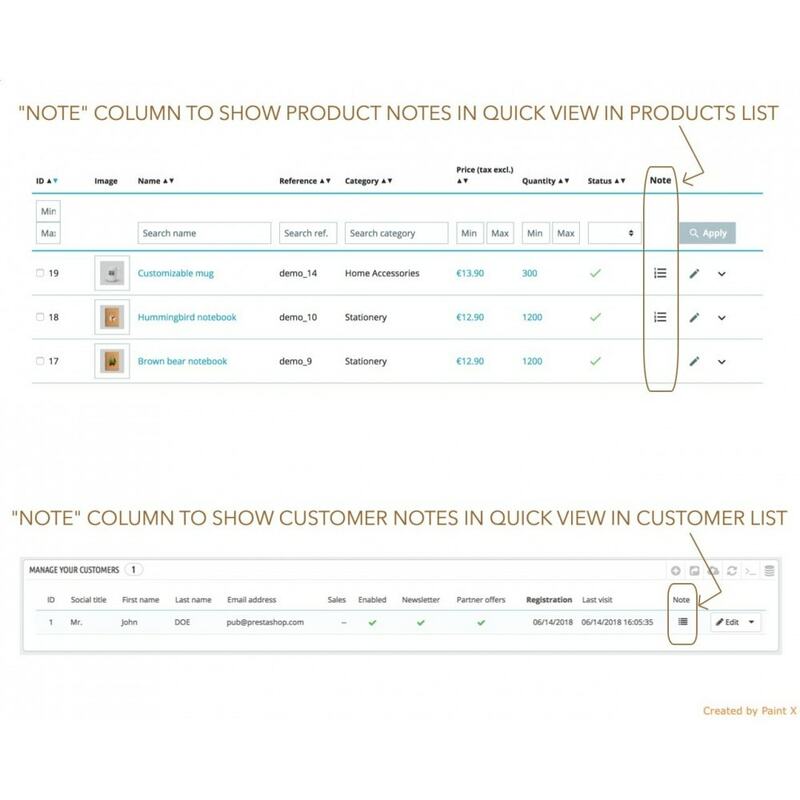 You can write your notes also for products and customers in your back office. This module is the best way how have all reports in one place together. 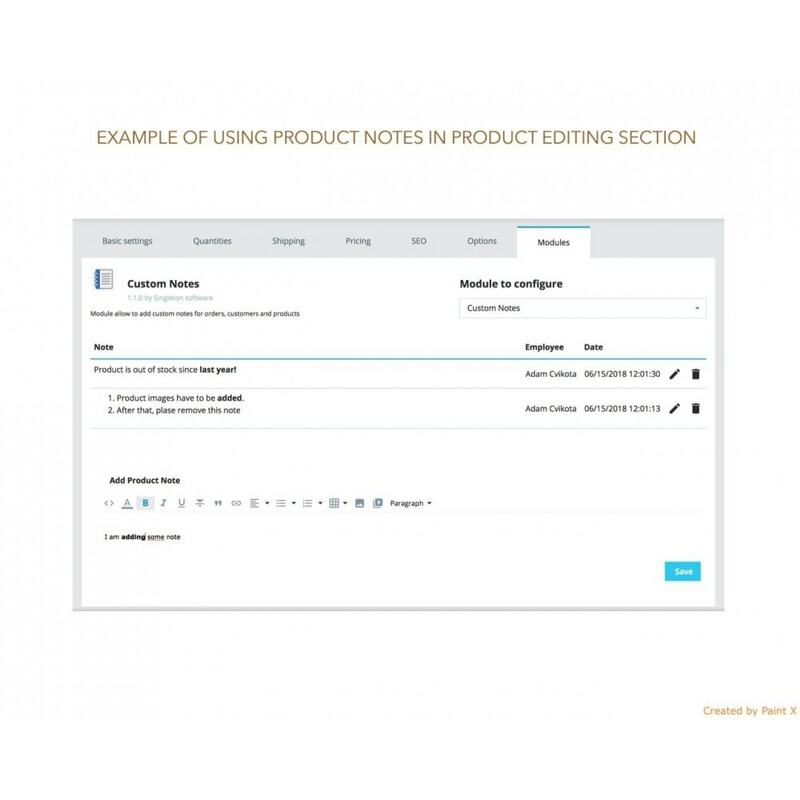 Custom notes, you can add from advances rich text editor, where you can write formatted text with using tables, lists, custom links to uploaded files, or even own images. 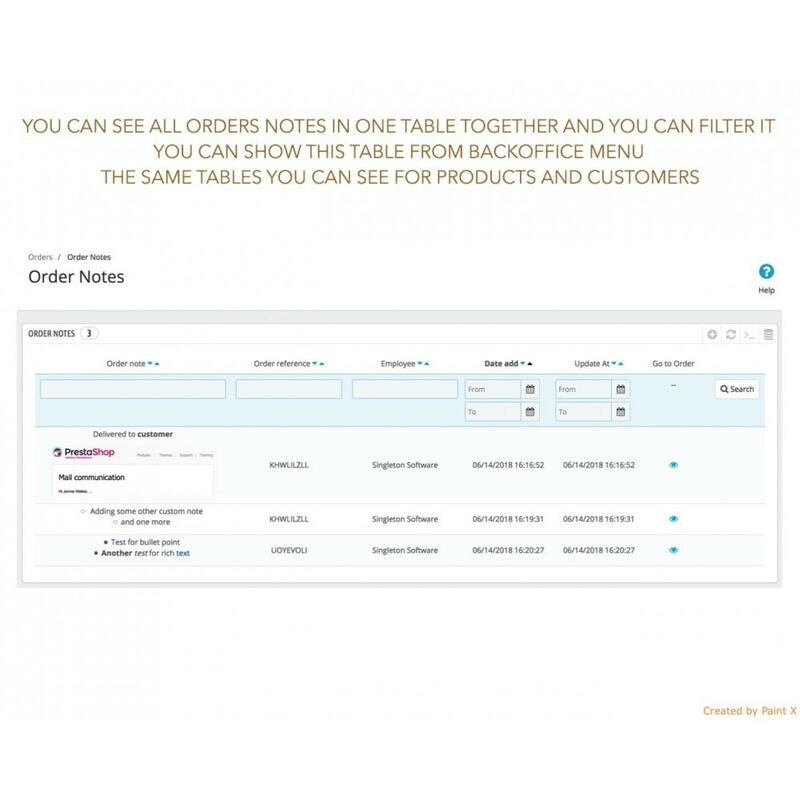 You can add any count of notes for each order, product, or customer. All of the custom notes, you can see in the spreadsheet, with informations about employees who add notes and dates when they added it. You can also update or remove your notes directly from spreadsheet. 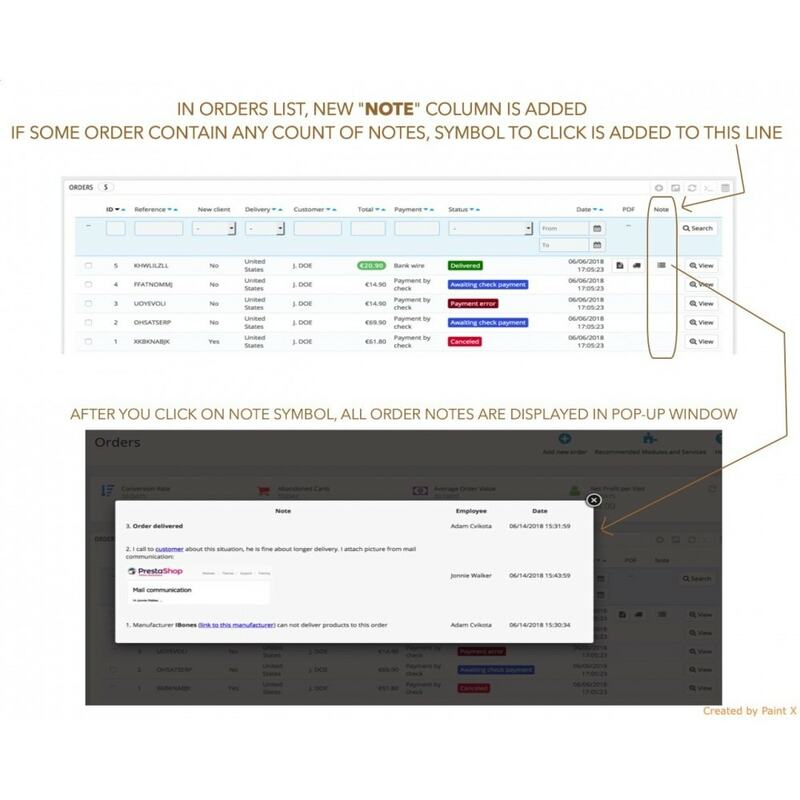 If you wish to see all order notes for all orders together, you can see it in all orders notes table. The same for products and customers. 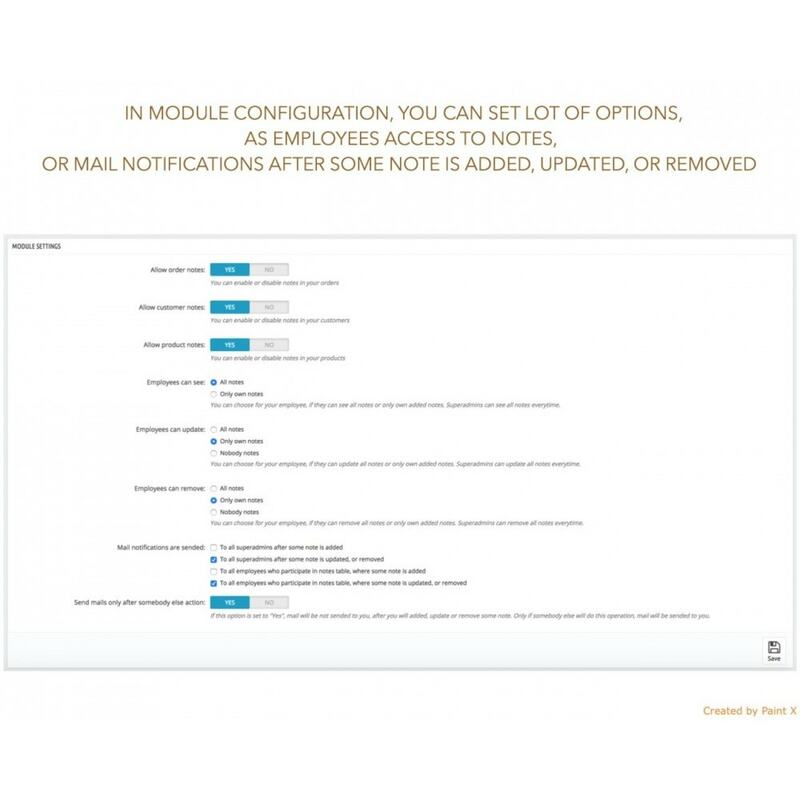 In module configuration, you can set lot of options, as employees accesses to custom notes, or mail notifications after note is added, updated, or removed. This module also support multistore. 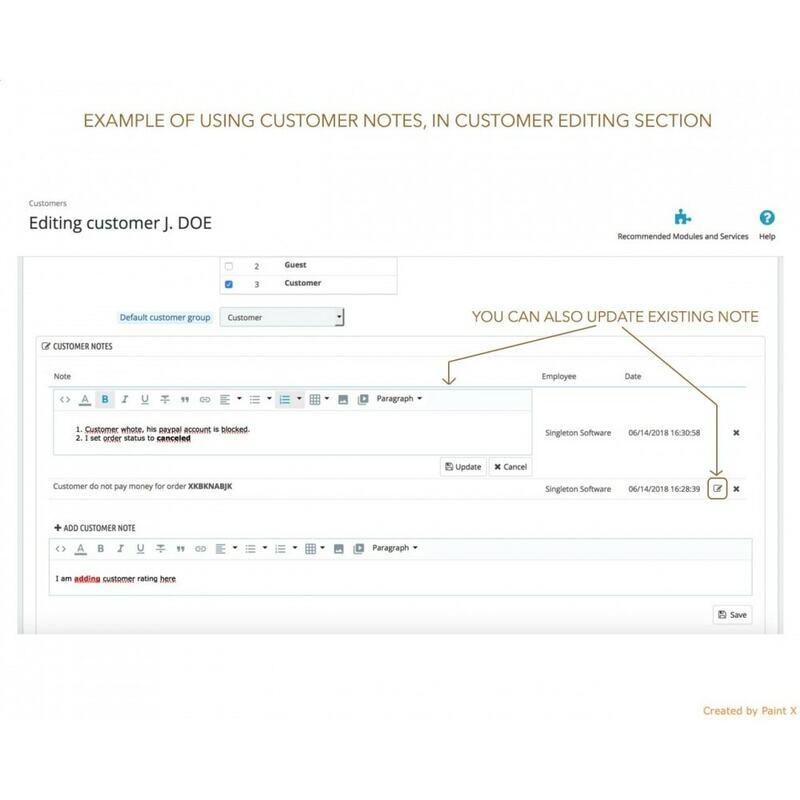 You can choose for your employee, if they can see all custom notes or only own added notes. Superadmins can see all custom notes everytime. You can choose for your employees, if they can update all custom notes or only own added notes. Superadmins can update all custom notes everytime. You can choose for your employees, if they can remove all custom notes or only own added notes. Superadmins can remove all custom notes everytime. This module is easy to install and no core Prestashop files are modified. With this module you can easily display all product combinations directly in products list. Customer can even add selected variant of product to cart without view product's page. In module configuration, you can set lot of options and features. Change your store to private B2B space. Administrator can verify all new registered customers and allow or disallow them. All visitors and not approved customers will not see prices and add to cart buttons, but only your custom text instead.